Want a holiday trip that’s sensational, instead of just so-so? Sure you can spend the time and do it yourself … or you can save yourself the hassle and get a really great travel agent to help you plan and book trips that deliver the experiences you’re looking for. But how do you know if you’re working with someone above and beyond? Here are 6 tips to help ensure you’ve got the best travel agent on your side. Did you know you must be registered in order to legally sell travel in Ontario? There are over 2500 registered agencies that you can find here. Also, many travel agencies will have the TICO logo right on their website. Ontario travel agents are knowledgeable, professional and are required to meet a legislated Education Standard, so you can travel with peace of mind. Vacations booked through a TICO registered travel agency are also protected by the compensation fund which can help during some unforeseen events including bankruptcy. However, to be completely safe, a great travel agent will always recommend that you purchase travel insurance. Referrals from family and friends are ideal. If you’re working with a travel agent you don’t know, check out their reviews online. Are there any raves or rants about them or the company they work for? Do they have lots of followers on social media and are they posting quality content? How long has their travel agency been in business? But don’t let that alone discourage you, there are plenty of great new travel agencies too! How well does the travel agent know the travel providers and the destinations they’re recommending? Talk to your travel agent and find out if they’ve visited the area, stayed in the hotels, taken the tours, dined in the restaurants, and seen the sights? They may not have gone everywhere but they should have reliable sources of information on must-see places and ones to avoid. Does your travel agent specialize in certain types of trips, such as Caribbean cruises, eco tours, destination weddings or unusual adventures? Are they enthusiastic about where you want to go and have suggestions to enhance your trip? Are they willing to do some research to help you make the most of your travel experience? 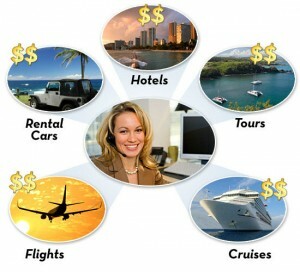 You want a travel agent you can trust to find the best travel options for you. Your travel agent should advise you of all the fees and charges involved in your holiday so there’s no surprises. This includes clearly outlining all of the costs, identifying any fees including a counseling fee for assisting you with your booking, taking you through all of the terms and conditions, and letting you know about any change or cancellation fees that may be applicable. One of the benefits of working with a good travel agent is the support they can provide in the event that anything goes wrong while you’re away. If flights are delayed, hotels overbooked, accommodations unsatisfactory or elements of your holiday didn’t live up to the promises, your travel agent can help rectify the situation and assist you. Your travel agent can also assist you with purchasing travel insurance. Get the reassurance that you can easily reach your travel agent for help if you need it while abroad. For more information about TICO travel agents, checkout our blog What Makes A FantasTICO Travel Agent? Whether online, over the telephone or in person, book your vacation with a travel agency registered in Ontario to benefit from the consumer protection available under the Travel Industry Act, 2002 and Ontario Regulation 26/05. For additional travel tips or to locate a TICO registered travel agency near you, go to www.tico.ca and use the Travel Agency Search feature. Booking Travel Online? What You Should Read in the Fine Print!